Yes, that’s right. You need to connect to a PC or laptop in order to record footage. 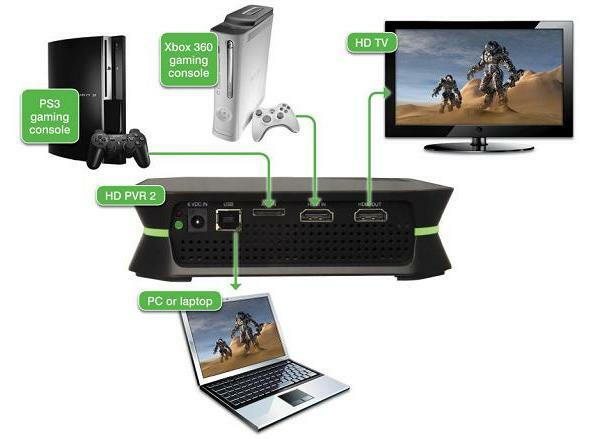 But what if, like me, your PC is in a different room to your PS3 (or XBOX)? Well, that’s where the AVerMedia Game Capture HD comes in! Now, I actually use the AVerMedia to record all of my content, so I just wanted to pick up on a couple of JSHD’s comments. First of all, I would advise using against “standard mode” as the lag it creates makes first person shooters completely unplayable. Hit the top right button on the remote control and the light on the front of the AVerMedia should switch from green to blue, confirming you are now in “dynamic mode”, which is lag free. Personally, I don’t have any problems opening the files created in Sony Vegas however there are times where the games sound appears to cut-off after the first 5 seconds. To resolve this, download DVD video soft (Google it – I’m reluctant to link here as I think the site will be taken down soon) and open up the “video to mp3” editor. This will extract the game sound, which can then be dragged onto your timeline. One word of warning, if you use a gaming headset which connects via optical cable then make sure you set your sound output to “headset + TV” in the relevant menu. My first attempt at a Road To Commander series went horribly wrong when I forgot to do this…. 50+ games recorded with no sound. D’oh. [click here to see an explanation]. As for everything else, I fully agree. The main advantage of the AVerMedia Game Capture HD is its portability, which is down to the fact it is both small and doesn’t require the use of a PC. As far as I am aware, the AVerMedia is the only capture card on the market which can operate in isolation. Wondering what the quality is like? Check out this recent video from my Black Ops: Road to Commander series. I’m recording in 720p and editing in Vegas. No colour correction settings have been applied, although I have set “sharpen” to 0.007.